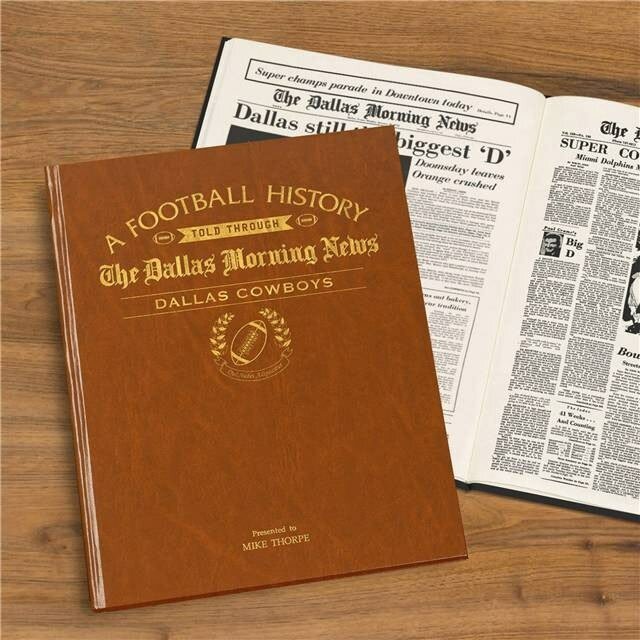 Starting with when they officially joined the NFL in 1960. 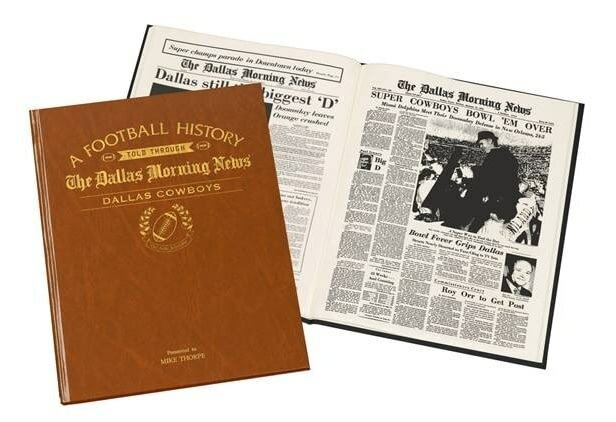 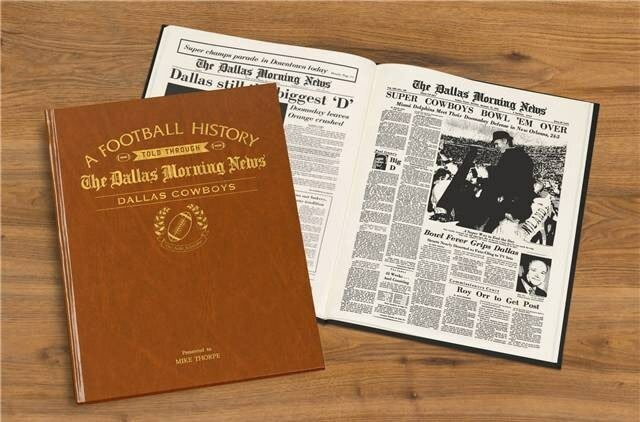 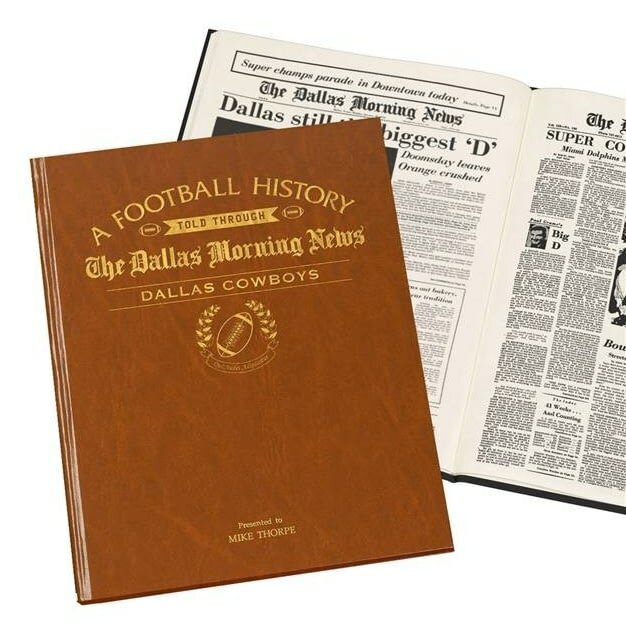 Top stories include when they won the NFC East Division title after 31-12 win against Cardinals in 1972, before winning the Super Bowl later that season. 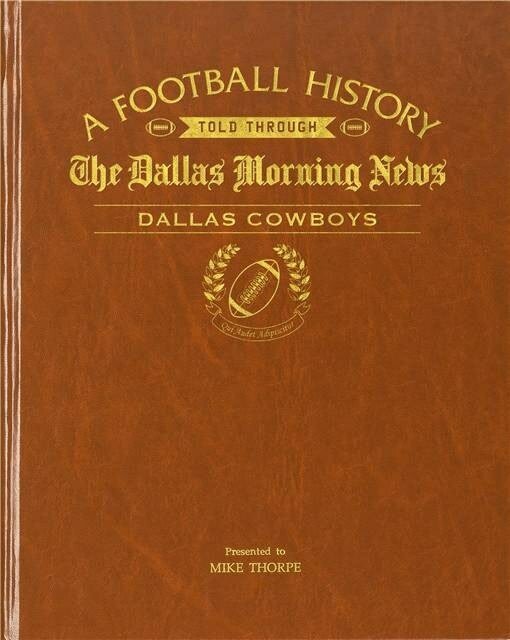 Covering 3 Super Bowl wins so far, this book is sure to please any Cowboys fan. 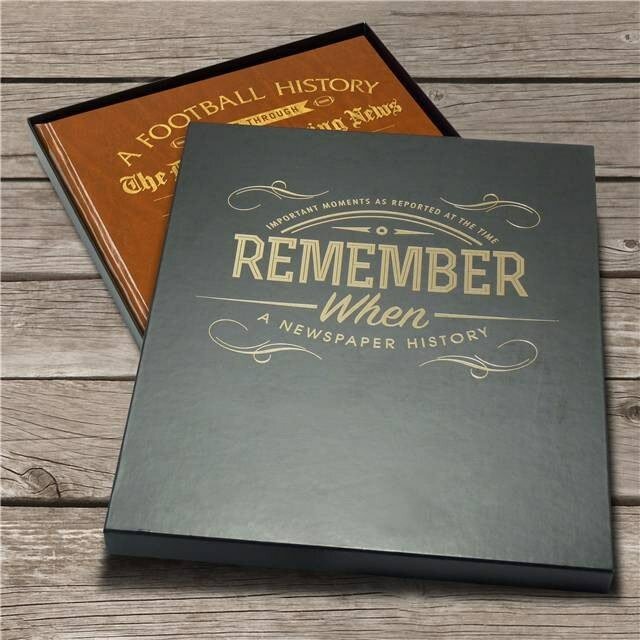 Reproduced to near full tabloid newspaper size it is bound in luxury tan leatherette, gold embossed, hardback cover, to which a name is added.